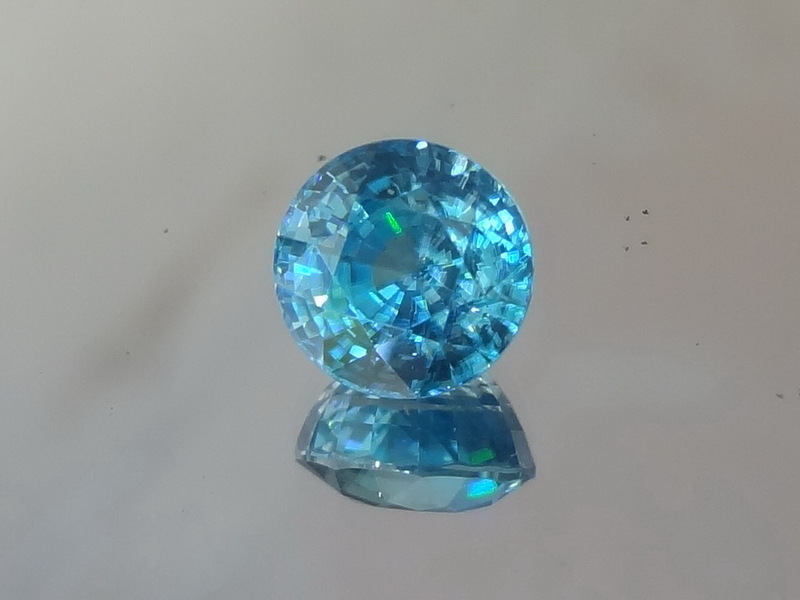 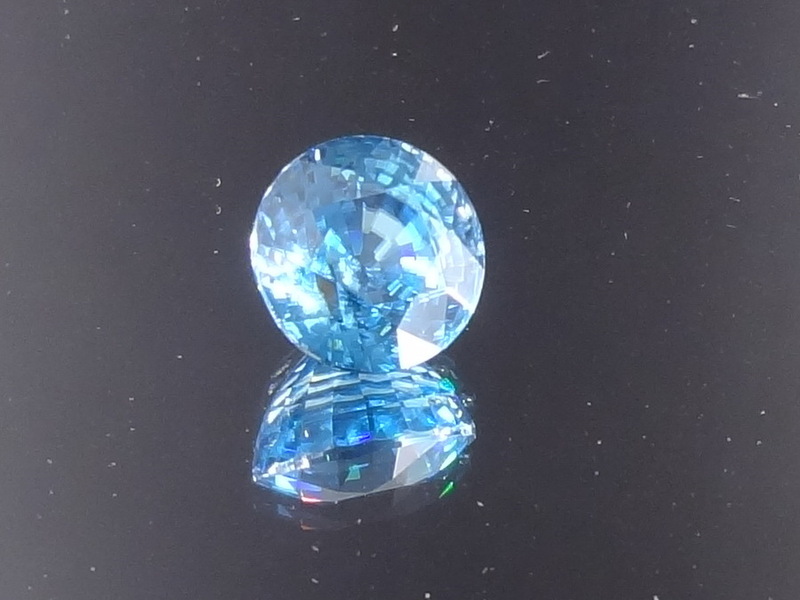 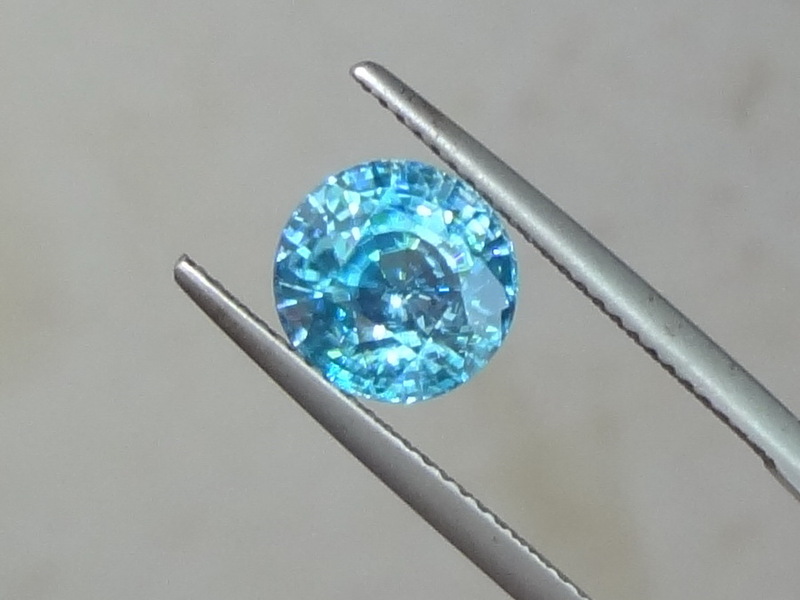 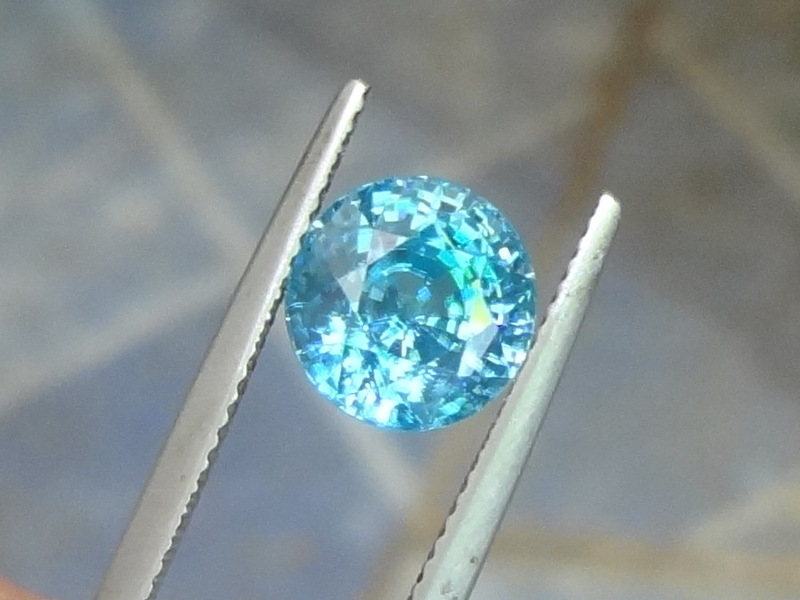 Very shiny sky blue Zircon from Cambodia, 5.385ct Round Cut Natural Blue Zircon from Cambodia. 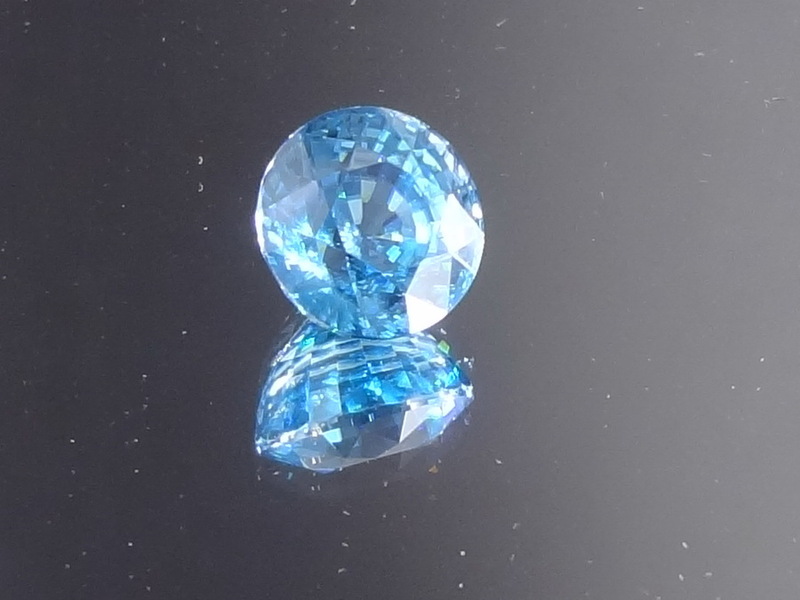 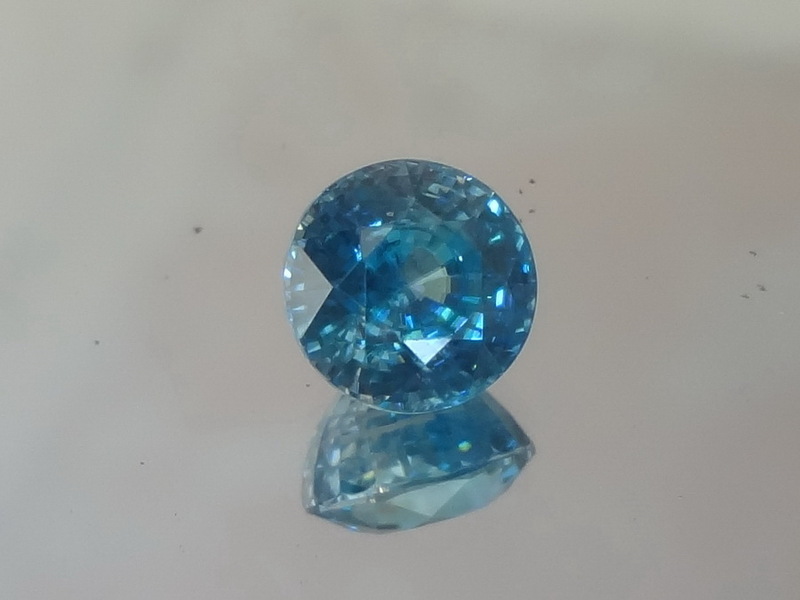 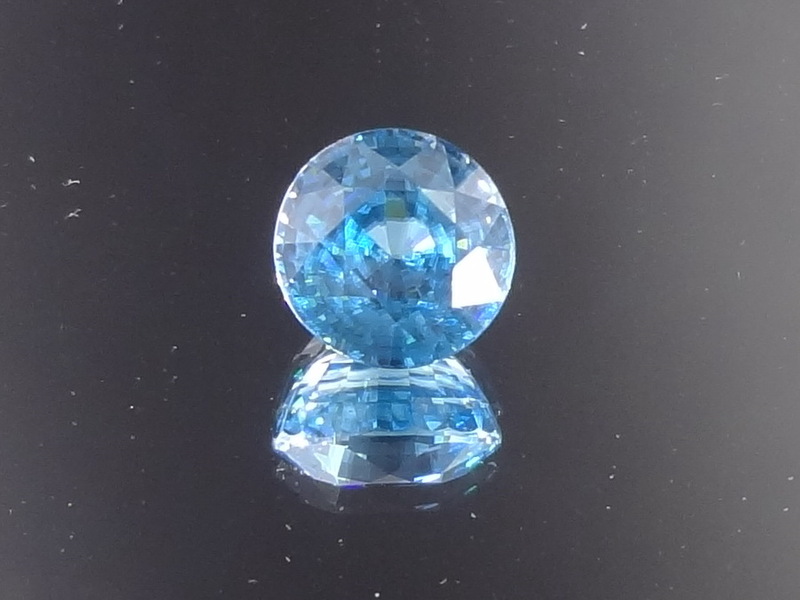 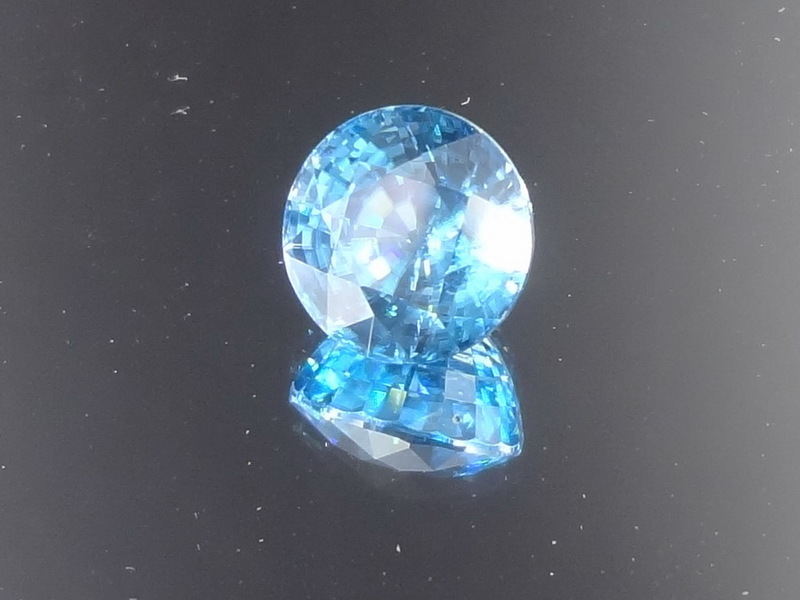 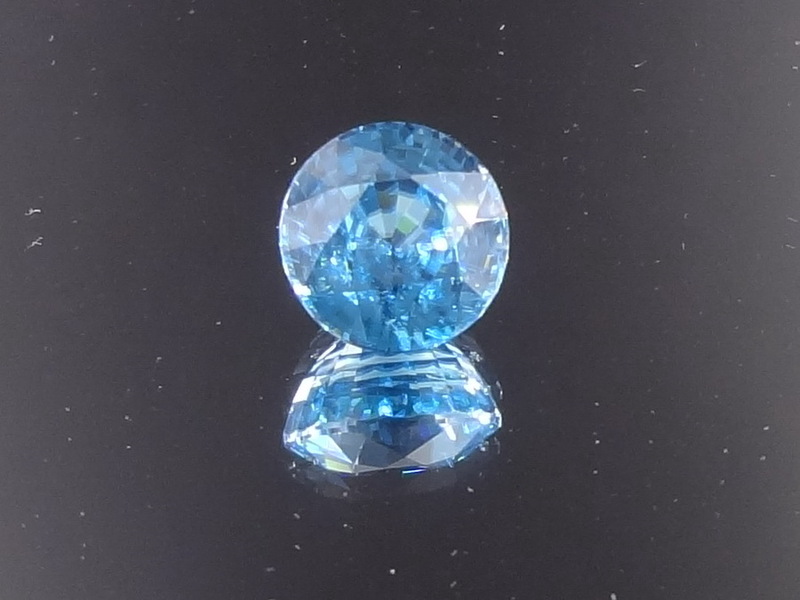 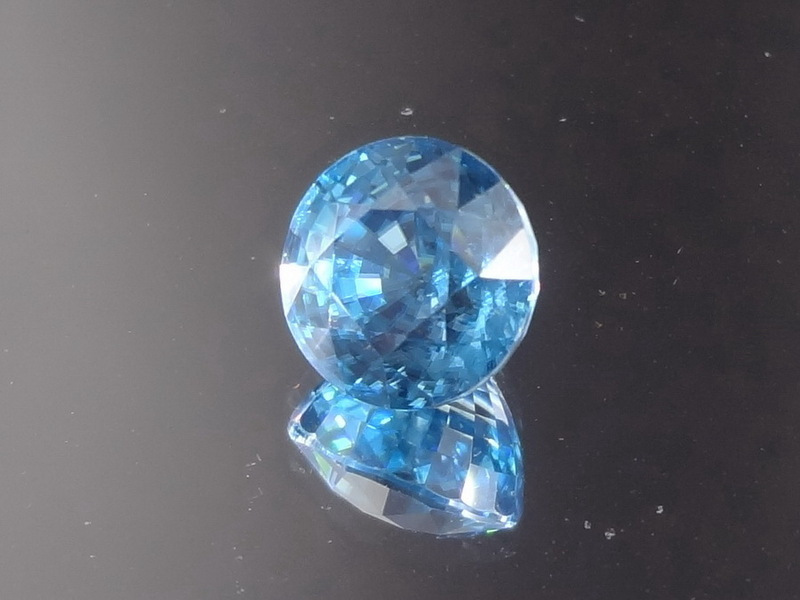 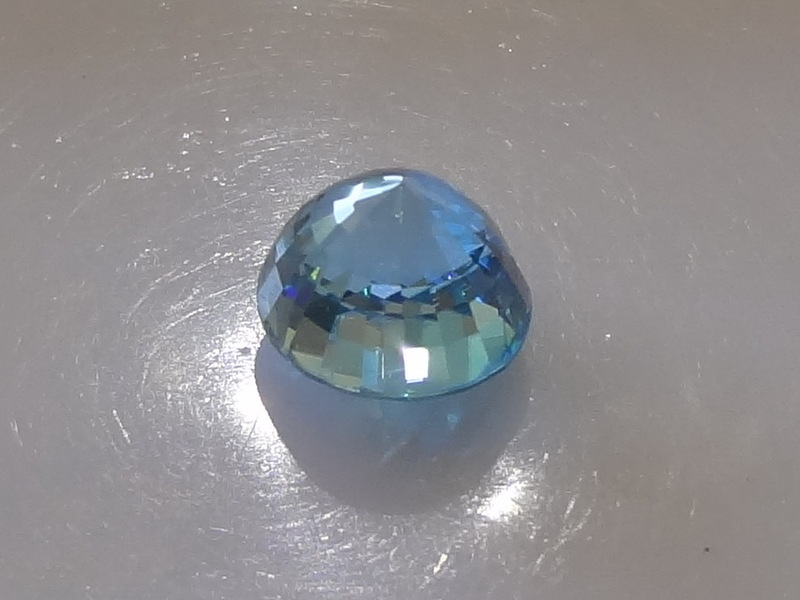 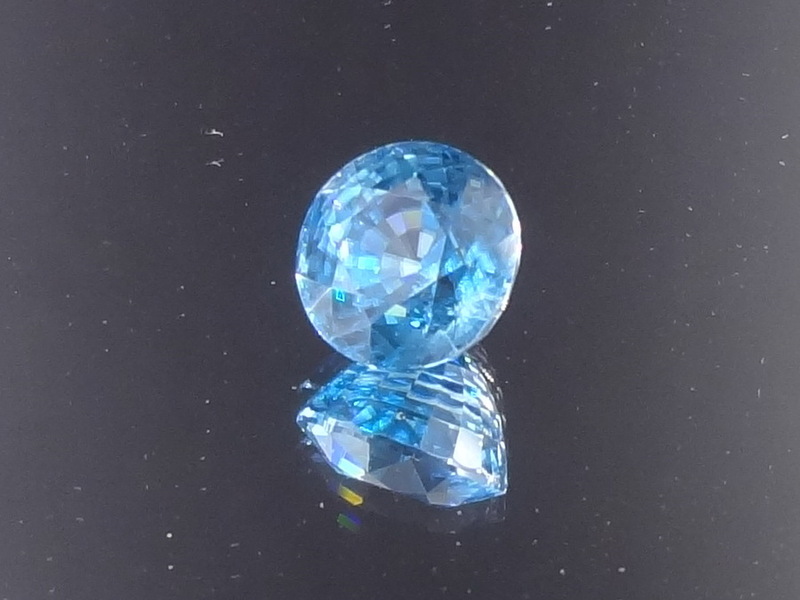 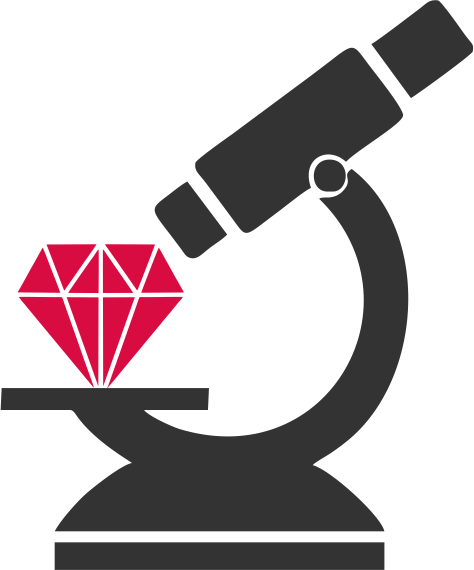 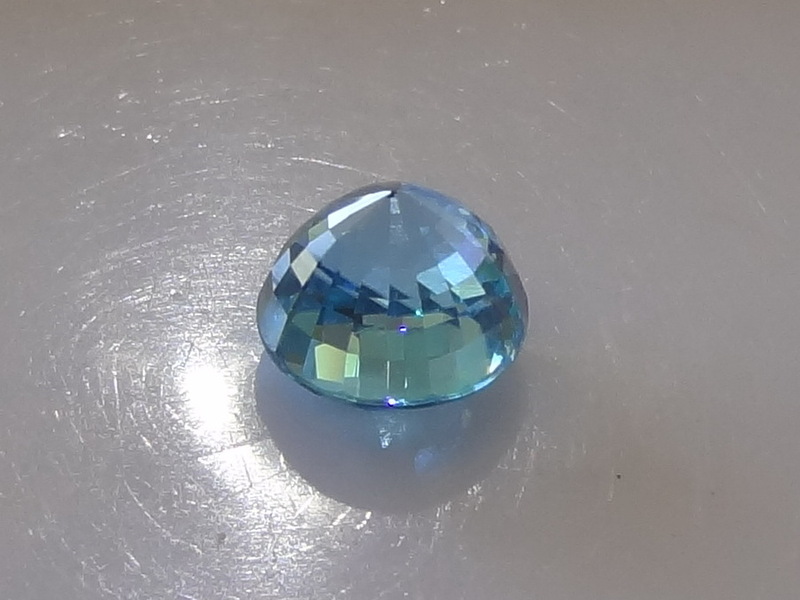 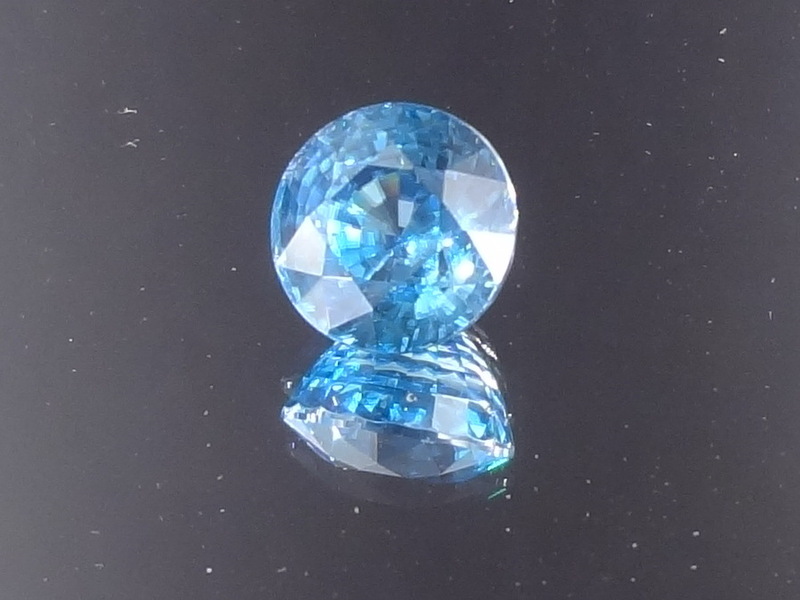 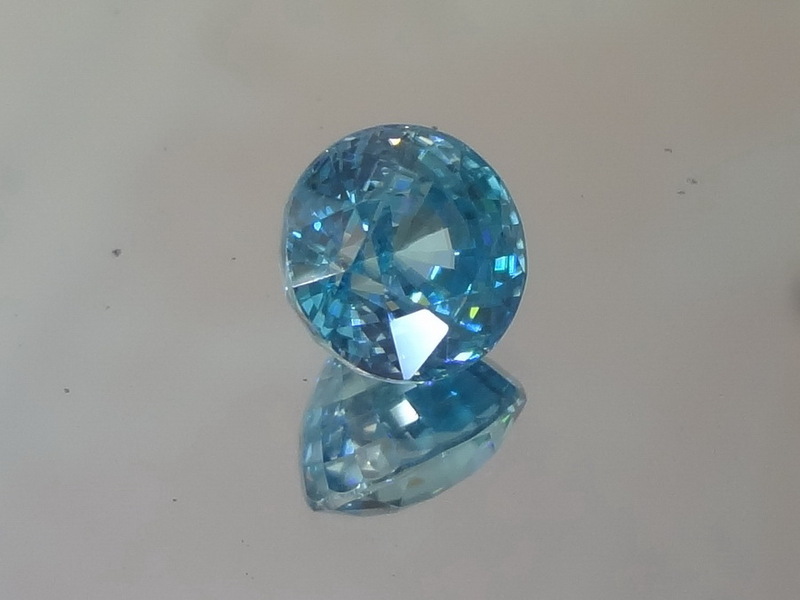 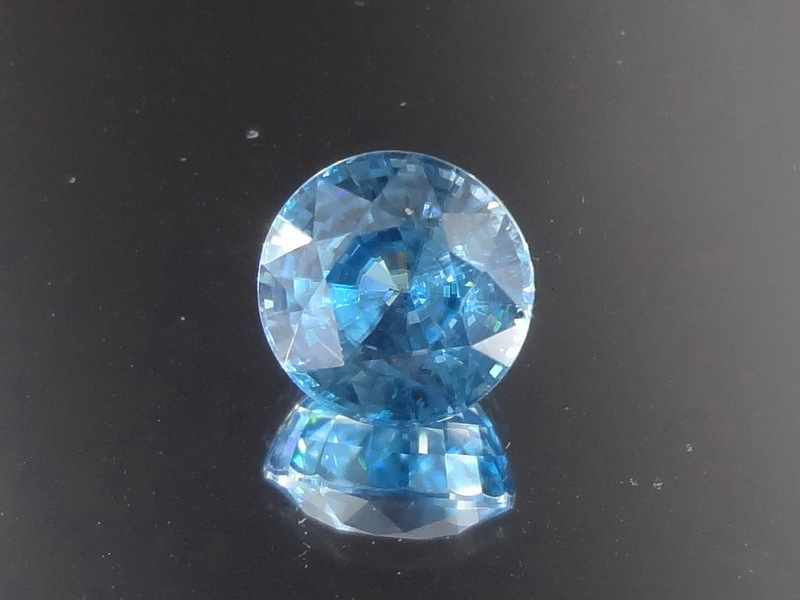 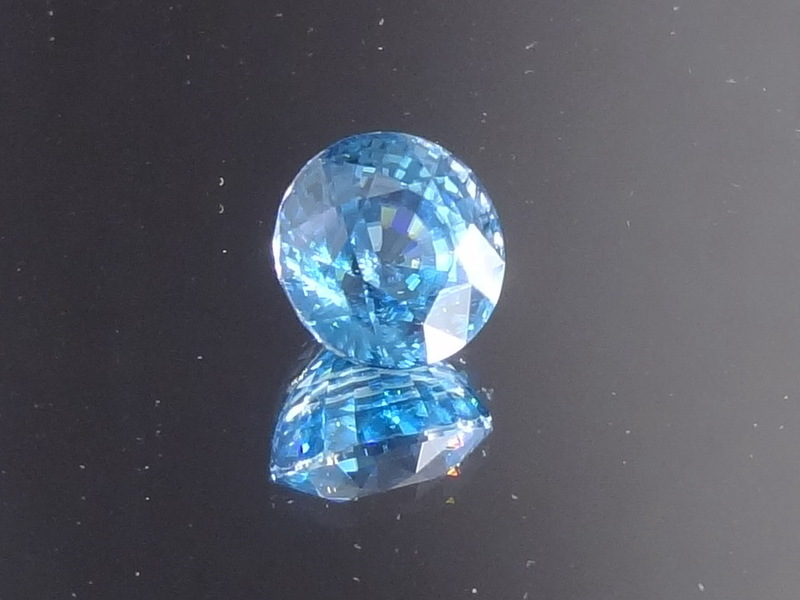 It's hard to find a round blue zircon as they are usually cut in cushion, so here is one for you to buy at a discounted price due to a very slight asymmetry, not sure if you'll even notice it in the video. 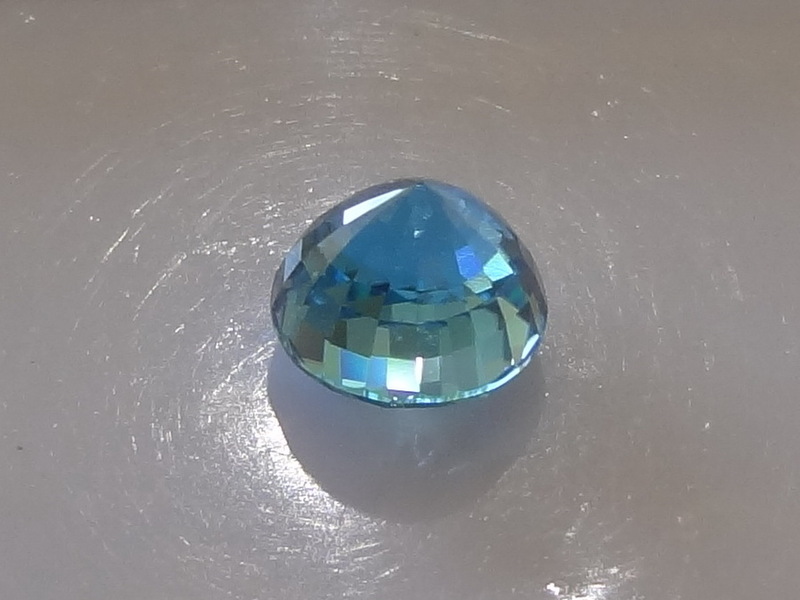 Also please note that the slightly greenish color in some images are due to reflections from the trees outside, this stone is not greenish but just blue.